Dozens of families in Moncton are trying to figure out where they’ll send their children Monday morning, following news that St. Pat’s Family Centre will close its doors this Friday. About 40 children attend preschool and after-school programs throughout the year and the centre also runs a summer camp for up to 30 children each week during July and August. Vanessa Golding, manager of the childcare centre at St. Pat’s, said parents are really sad the centre is closing. “They’ve also been wonderfully supportive to the staff, sending their love and best wishes, thank-yous and great memories our way,” she said. Golding said she has been contacted by the Boys and Girls Club of Moncton as well as the Moncton Sportsdome. The organizations have offered spots in their own centres or have helped direct families to other daycares with availability. Rebecca Campbell is the director of communications and resource development with the Boys and Girls Club. She said the club is looking at available spaces for younger children within its building. “We are not miracle workers but we are certainly going to see what we can do to help those young people and families affected,” she said. The club also offers programs for children up the age of 18 which might be suitable for some of the older children who are currently at St. Pat’s. The Moncton Sportsdome is offering spots to children as early as Monday morning to participate in their summer camps. Daycare director Dana Barron is the director of the daycare said there’s open availability during the summer and school year and the Sportsdome would try to be “competitive” with its childcare pricing. She said she has already heard from three families who are interested in sending their children to the Sportsdome for childcare. It’s not just the children who are being displaced. Golding and the four daycare workers at St. Pat’s will be out of a job on Monday morning. 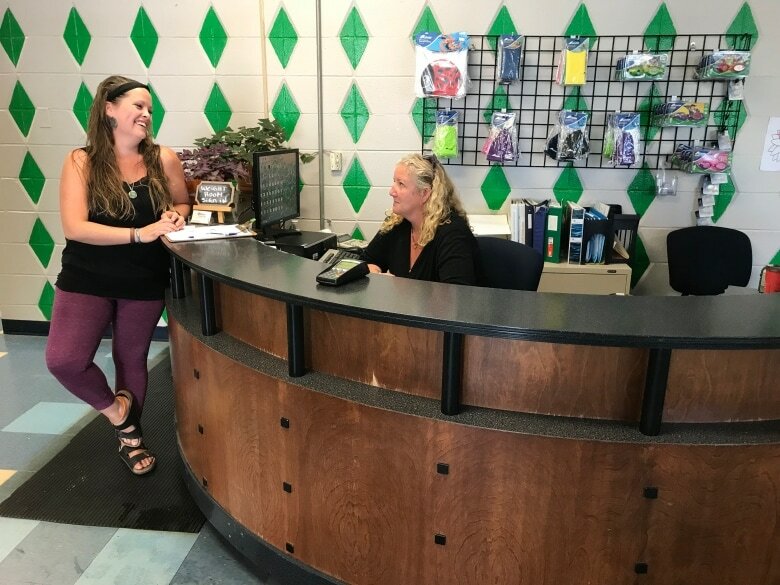 The other daycare centres, as well as the Greater Moncton YMCA, are asking all employees at St. Pat’s to send along their resumes for possible employment. Golding has been at St. Pat’s for almost 10 years. Running the daycare had become a community effort. 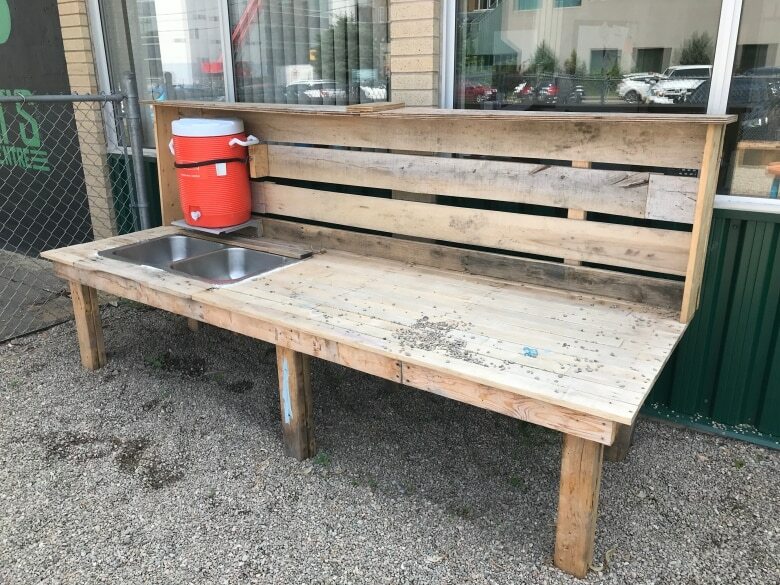 A volunteer recently built and donated a mud kitchen for the children to use outdoors. It’s now going to be given to another not-for-profit childcare centre. Golding says the daycare received a Quality Improvement grant from the province of New Brunswick this spring. 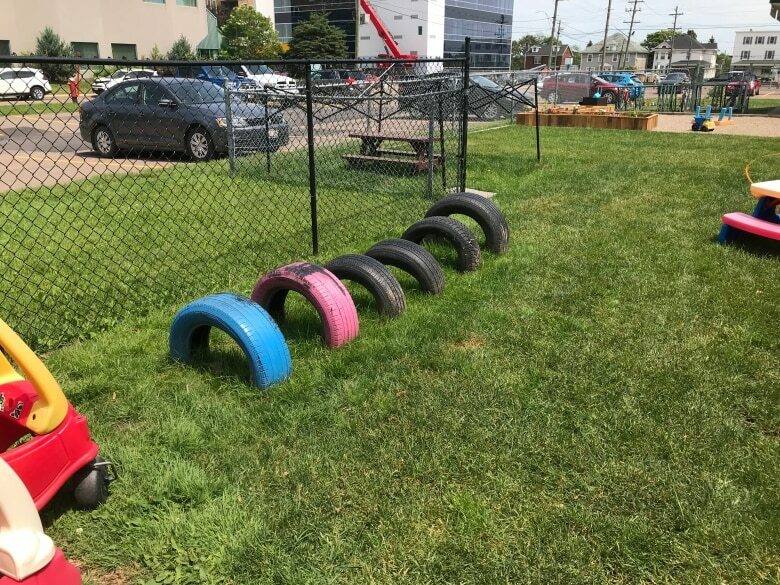 Parents and community volunteers spent time over the May long weekend laying sod on a newly expanded lawn in the outdoor play area. They also had vegetable and flower planters built for the children to use. Now, Golding says she and her staff and trying to help children who are upset about the news of the closure.